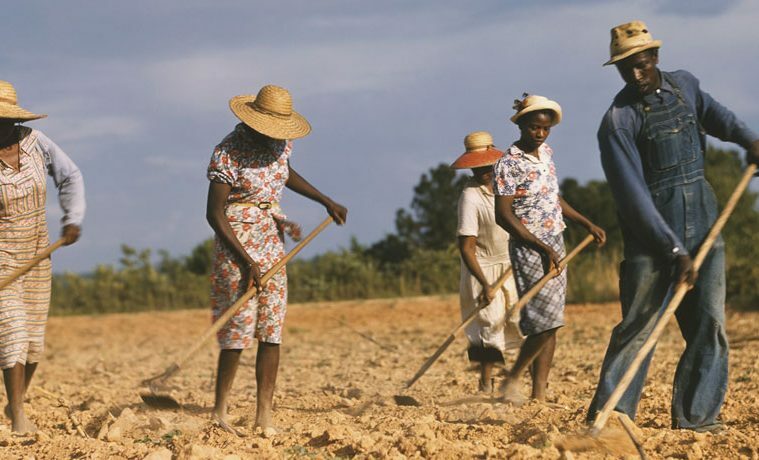 IMAGE ABOVE: Jack Delano (1914–1997), Chopping cotton on rented land near White Plains, Greene County, Georgia, 1941, 1941. Inkjet print, 2013. Courtesy the Library of Congress. The second or third photograph you see in the Amon Carter Museum of American Art’s fascinating exhibition, Color! American Photography Transformed is an untitled 1851 color plate by Levi L. Hill, an obscure backwoods tinkerer who kept the photography world anxiously waiting for years with unfulfilled promises to share his results and his process. Alas, he died in 1865 without ever really understanding how he had managed to directly record red and green (though he apparently never managed to get clear yellows and blues). Scientists still don’t know how he did it. That’s what makes the first photograph you see—Cory Arcangel’s Photoshop CS, 300 DPI, RGB, square pixels, default gradient “Spectrum,” mousedown y=1416 x=1000, mouseup y=208 x=42 (2009)—such a wickedly apt opening move by John Rohrbach, the Amon Carter’s senior curator of photographs. Part of Arcangel’s Photoshop Gradient Demonstration series, it encapsulates the long-cherished desire to put photography on par with painting and the accelerating democratization of new media; at 72-by-110 inches, its scale and vivid hues evoke Color Field painting. The title of Arcangel’s piece does what Hill never could: it tells you exactly how to replicate his results, which don’t even require a camera, and which he achieved with infinitely less exertion than went into Hill’s efforts. Anxiety about the relationship between color photography and the art world pervades the history traced by Color!, which is on view through Jan. 5.Walking through the show, I kept thinking of a passage from Ben Davis’s recent book 9.5 Theses on Art and Class that dovetails with the narrative arc of Rohrbach’s exhibition and accompanying catalogue. Indeed, many of the “fine artists” featured in Color! 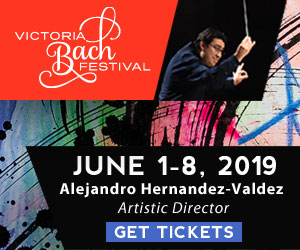 (not to mention their curatorial champions) come off looking less avant-garde than arrière-garde with respect to what their counterparts in the “culture industries” were producing. 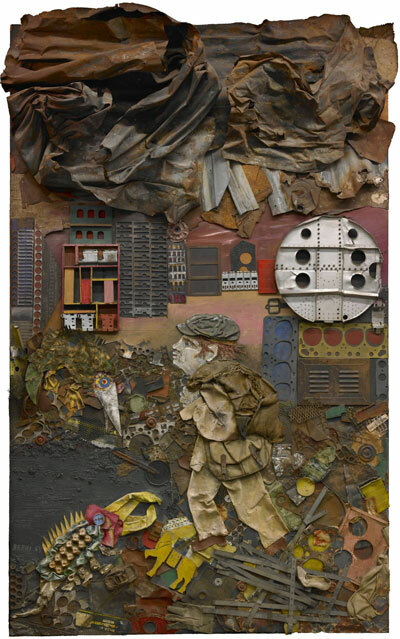 Antonio Berni, Ramona en la calle, de la serie Ramona Montiel y sus amigos (Ramona in the Street, from the series Ramona Montiel and Her Friends), 1966, xylo-collage-relief, the Museum of Fine Arts, Houston, gift of Alfredo and Celina Hellmund Brener. © José Antonio Berni. Mark Cohen (b. 1943). 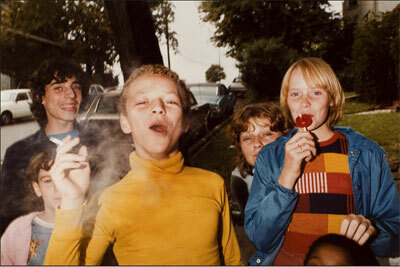 Boy in Yellow Shirt Smoking, 1977. Dye coupler print © Mark Cohen. Courtesy the artist and ROSEGALLERY. Meanwhile, American painters, equally besieged by the rise of the culture industries, had increasingly integrated fragments of popular culture into their paintings, most famously in the work of Robert Rauschenberg and Andy Warhol. 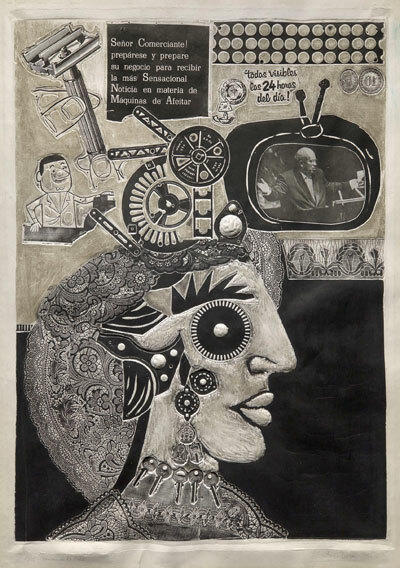 Equally innovative and important, but far less widely known, are the simultaneous explorations of Antonio Berni, an Argentine artist who divided his time between Buenos Aires and Paris and pioneered his own distinctive variation on the “New Realisms” exemplified by American Pop and European Nouveau Réalisme. His two most important series, created over a period spanning 1959 to the late 1970s, are the subject of the Museum of Fine Arts, Houston exhibition Antonio Berni: Juanito and Ramona, on view through Jan. 26. Like Rauschenberg with his combine paintings, Berni began integrating not only photographic images and ephemera but all kinds of castoff materials with paint into often-monumental assemblages. Both were operating in a gap between art and life, as Rauschenberg said he wanted to do. But where Rauschenberg’s “flatbed” compositions disrupted viewers’ attempts to read their meanings, Berni’s materials came together to form the worlds (and often the bodies) of his two archetypal characters, Juanito Laguna and Ramona Montiel, while commenting on postindustrial capitalism and its consequences. 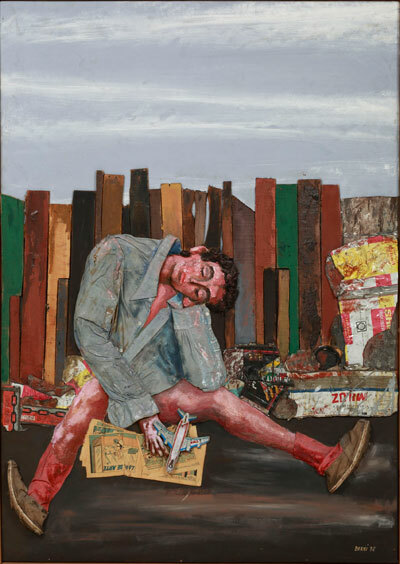 Antonio Berni, Juanito dormido (Juanito Asleep), 1978, oil, wood, cans, cloth, jute, nails, paper mache and plastic toys on plywood, MALBA–Fundación, Museo de Arte Latinoamericano de Buenos Aires. © Lily Berni. Also like Rauschenberg, Berni in the 1960s proved to be a tremendously innovative printmaker; in 1962, he was awarded the international grand prize for printmaking and drawing at the Venice Biennale for his “xylo-collage” technique, which he went on to develop most radically in his Ramona series about a young seamstress who is eventually drawn into cabaret life and prostitution. Berni applied lace, fabrics and bric-a-brac from Parisian flea markets, souvenir shops and cheap costume-jewelry arcades to his woodblocks before inking them and printing them on large sheets of paper, which then reflected the found objects in relief. “(Berni) narrates the world he wants to analyze by dissecting the bodies of its leading protagonists; materials found in the streets burst apart on Ramona’s body, a body that is also organized as each of its parts is re-signified in a process of potential mutation into something else,” writes catalogue contributor Andrea Giunta. Not just the art world, but the world at large.